You can now purchase some of my designs from the fabulous Lori Whitlock, she has an amazing website full of lots of craft ideas, tips and tricks to make fantastic things with all the files available to download, I will endeavour to make some exclusive designs just for her SVG shop when I get time (something I don't have much off between orders and family life!). 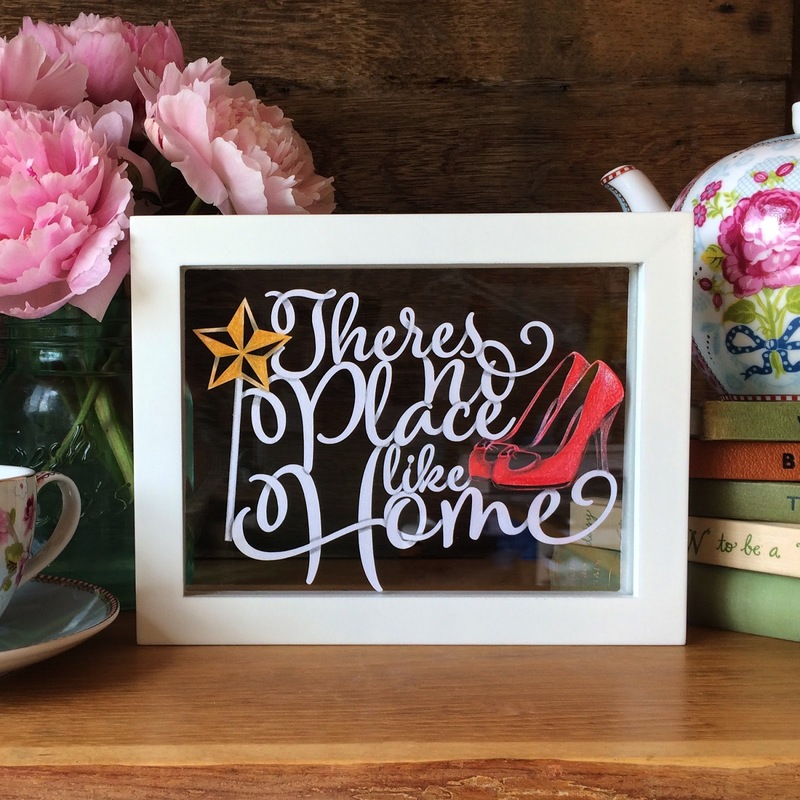 A recent design of mine that is available from her store is this typographic 'Theres no place like home' Wizard of Oz inspired papercut. (If you want to hand cut this I have it available as a PDF and JPEG in my Etsy store), along with many others too that could be used for wall vinyls, card making or simply as beautiful framed papercuts! And don't forget all designs are available direct from me as actual papercuts, just pop me a message to samantha@sascreative.co.uk and I can cut them out for you!